As it turns out, I’m not the only one that enjoys historical exploration. Some folks in Pennsylvania have been exploring the oldest road in America and have produced a documentary. They may not call it historical exploration, but they started with the history of the Kings Highway and went exploring before producing their documentary video. The 1,300-mile (2,100 km) long King’s Highway was built from to 1650 to 1735 and connected Charleston, South Carolina to Boston, Massachusetts. It played a critical role in the ultimate independence of the United States from England even though it was ordered to be built by Charles II of England. In 1735, it was basically a trail. By 1750 the entire road was in place. Wagons and stagecoaches used it, but it was difficult going with few bridges and many river crossings. Sections were often impassable. Today, highways and modern roads cover most of the original route. In many places key historic elements have been preserved. For example,The King’s Highway Historic District in New Jersey covers U.S. Route 206 and New Jersey Route 27 that connect Lawrenceville with Kingston through Princeton. There are five National Historic Landmarks, just on that piece of road: Lawrenceville School, Morven Museum and Garden, Maclean House, Nassau Hall, and the Joseph Henry House. In addition there are numerous associated historic stuctures on the National Register of Historic Places and the New Jersey Register of Historic Places. There are hundreds of historic places along the 1,300 mile highway, but today lets look at what’s happening in northeast Philadelphia. Right now a team of local residents including government officials and historians are working with a film production team led by Jason Sherman to create a definitive documentary about The King’s Highway that is now Frankford Avenue (U.S. Route 13) in northeast Philadelphia. While the King’s Highway in this part Philadelphia is a small part of the historical picture it is a surprisingly rich part. Legend has it that in 1777 one northeast Philadelphia resident named Lydia Darragh was forced to allow the British that were occupying Philadelphia to use part of her house for meetings. One night she listened to officers making plans to attack the Continental Army. The next day she obtained permission to cross the British line to acquire flour. While getting the flour, she got word to General Washington’s troops about the impending attack. The Continental Army was ready for the British and the attack failed. The Frankford Avenue Bridge (or Pennypack Creek Bridge) was erected in 1697 in the Holmesburg section of Northeast Philadelphia at the request of William Penn. 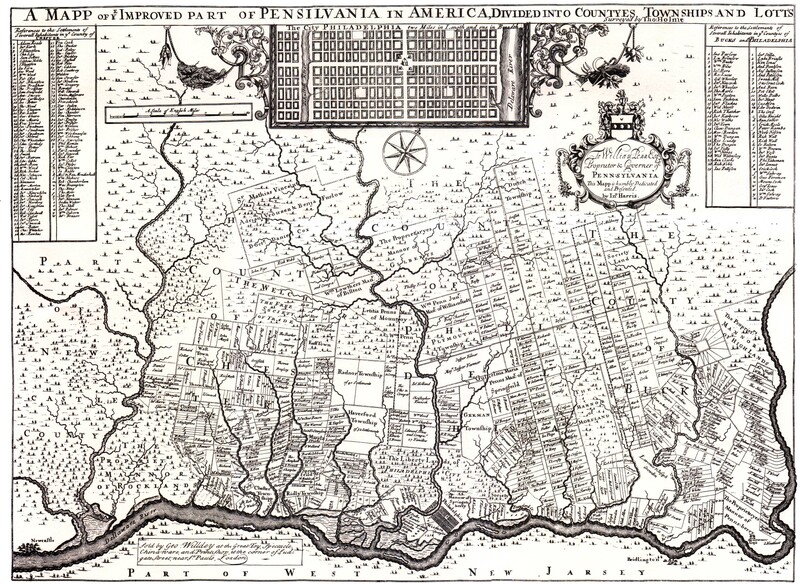 Penn originally asked for the bridge to connect his mansion with the city of Philadelphia, but it became an important link on the King’s Highway. It is now the oldest, continuously-used roadway bridge in the United States. 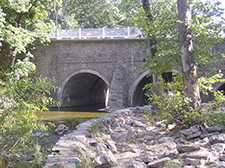 The three-span, 73-foot-long (22 m) twin stone arch bridge carries Frankford Avenue over Pennypack Creek in Pennypack Park at an old Lenape Indian trail crossing. In 1789, George Washington crossed the bridge on his way to his first presidential inauguration in New York. There are many other historical sites in the area and along the King’s Highway. Whether you are in Philadelphia or anywhere else along the King’s Highway, you can use the highway as the object of your historical explorations. The research is now easier for the northeast Philadelphia area as the film team has completed the documentary. It is available free on Amazon if you have Amazon Prime and is available on IndieFlix if you are a subscriber. If you would like to support marketing of the documentary, you can buy things at the film’s website. Then, get out and explore! Very exciting that so much history is so close to us. So glad you are takimg up this cause. I have known about the bridge for years and have made several visits. Saw a newly added historical marker (how long ago). Great work. Where can I get a map of king high way. If you open the map in a separate browser window, it will be a little larger and easier to read. Apparently that map has now changed location on the web and I can’t find anything similar. How can I rent or purchase the video on Route 13, Frankford Avenue? We liked seeing it on PBS but want to share it with family. Thank you. The video can be purchased at kingshighwayfilm.com. It is no longer available for purchase on Amazon, but it looks like it can still be viewed via Amazon Prime. 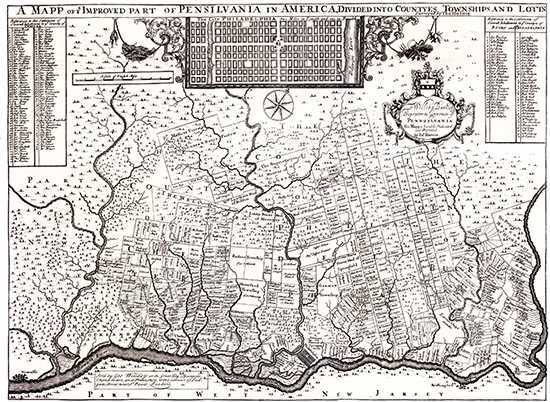 My family lived in Pennypack when I was born (Deer Lane). I remember walking to Thomas Holmes school daily, walking up to Franklin Ave where a friends home was Just across Franklin Ave (now long gone replaced by shops). We rode sleds behind Deer Lane into the creek, walked the railroad tracks where my little 4-year-old legs couldn’t get me off the Tressel fast enough so I slipped between the ties and watched it pass over. Scared the H.. out of my brothers.) It was special, it was home, it was where America was born but I wasn’t aware of the history we shared. Life took our family to southern Maryland, attending school with Dr. Mudd’s descendants, along the route John Wilks Booth rode out of Washington. Grown-up loving history and this is a welcome addition to my history. Thank You. I’ll share it with my two remaining brothers.